It is an amusing conversation when Kia executives, from the United States and Korea, discuss their relationship with Hyundai. 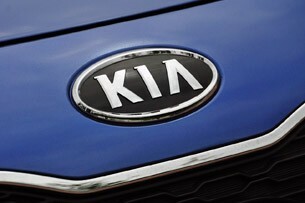 Kia Motors is partly owned by Hyundai Motor Company. As a result, the two share platforms, powertrains and an impressive research and development center in Namyang, Korea. But that is where the cooperation ends and the competitiveness takes over. Each of the automakers has their own top-secret design center, unique marketing teams and individual directorate. Ask Kia leaders about Hyundai and they will say the automaker is a fierce competitor. It is nearly as silly as watching two siblings who share the same parents argue that they are not related. The all-new Kia Rio 5-Door was bred from this curious relationship. Oddly enough, the uniquely competitive synergy may have made the compact hatchback all the better. We flew to the Republic of Korea on a mission. Our primary objective for this story was to drive Kia's new Rio 5-Door (we also took our first drive of the refreshed 2012 Soul at the same event), but our hosts filled our agenda with a tour of the Hyundai-Kia Automotive Group Namyang R&D Center and followed it with a visit to Kia's headquarters in downtown Seoul. Lastly, we capped the trip off with a feast at a traditional Korean BBQ with some of the company's top executives. It was sensory overload, Kia style, but our time spent with the Korean automaker was an invaluable behind-the-scenes look at the genetic code hidden deeply within the completely redesigned Rio. There is no hiding the fact that the new Rio 5-Door and new Hyundai Accent 5-Door share nearly identical mechanical DNA. From wheelbase to suspension to powertrain, these two are blood brothers. But that is where many of the similarities stop. While each company puts a unique vehicle on the table, both are fighting in the same segment. It is as if the town's sole award-winning kitchen is sending food to the two top restaurants and both are vehemently competing with each other for the same customers. 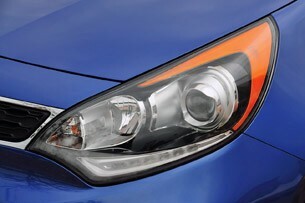 We sampled the 2012 Hyundai Accent a few months ago and it left us impressed. 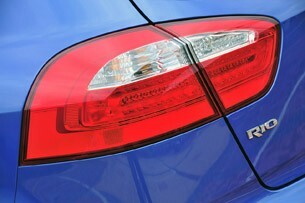 Now it was our chance to try the 2012 Kia Rio - same basic ingredients, but a very different recipe. Unique C-pillar treatments aside, the Kia appears to be the sportier of the two compacts and the most European in execution. Credit its more aggressive front fascia, bright twin-pipe exhaust, blackened lower rear valance and a taillight treatment that emphasizes the width of the platform. Another tip-off is the wheel/tire package, with the Kia offering the better 17-inch alloys (205/45R17) in contrast to the smaller optional 16-inch alloys (195/50R16) on the Hyundai. 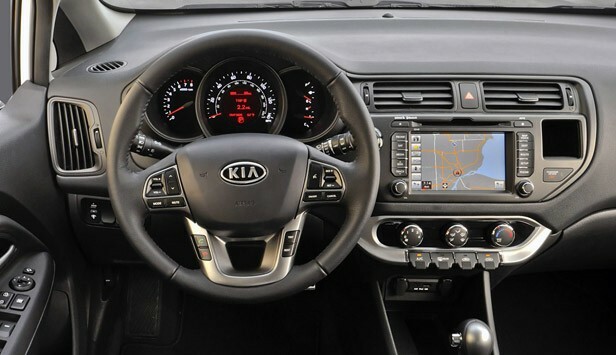 Furthermore, while they share the identical wheelbase, the Kia is about three inches shorter and weighs about 200 pounds less than the Accent. It is interesting to note that the weight has been kept down, as the new Rio 5-Door is longer, wider and lower than its predecessor. Like all others in this segment, the Rio is manufactured with a unibody construction. 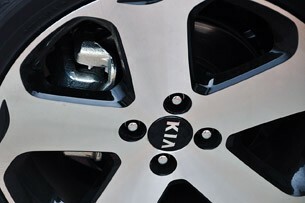 However, Kia now utilizes high-tensile-strength steel in 63 percent of the body. The overall structure has been designed to be as light as possible – the automaker lists the curb weight of the 5-Door at 2,410 pounds (add another 75 pounds for models equipped with the automatic transmission). Regardless, Kia has increased the thickness of the steel used in the body panels from 1.2 mm to 1.6 mm for improved rigidity and increased safety. 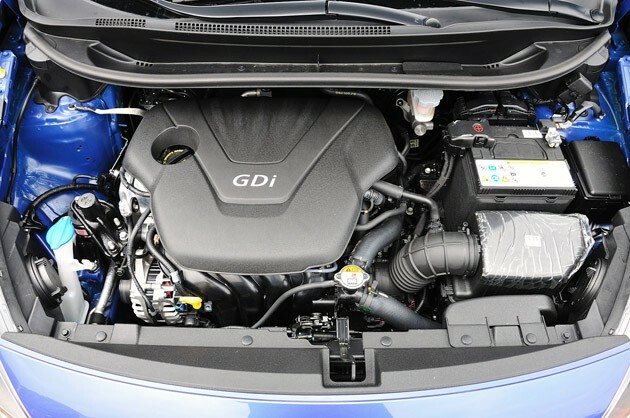 Kia is the first automaker in this segment to fit a vehicle with engine start-stop technology. Confusingly named ISG (Idle Stop and Go) - that is the nomenclature for the system in the automaker's Korean domestic market - the unobtrusive system shuts off the engine when the vehicle is not in motion to reduce fuel consumption. Complex algorithms and a series of electronic sensors ensure ISG interaction comes second to passenger comfort (e.g., it will only operate if the cabin is temperate on a blistering hot or freezing cold day). In addition, it has been programmed to ignore maneuvers where start-stop would become an annoyance (e.g., it will not operate while the driver is inching through a mall lot looking for a parking space). Bundled with low-rolling resistance tires, engineers at Kia say ISG is good for a three-percent fuel economy improvement in the EPA's city cycle. Final fuel economy numbers have not been officially released, but Kia says the Rio 5-Door with the six-speed automatic (without ISG) will deliver 30 miles per gallon in the city and 40 mpg on the highway. 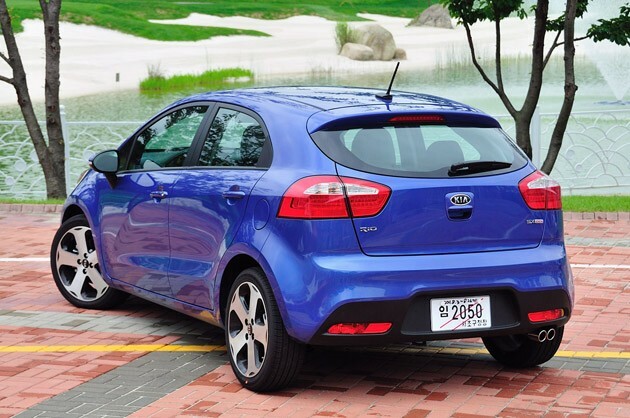 As far as models go, Kia will offer its Rio 5-Door in three different trim levels: LX, EX and SX. The base LX model is designed to entice entry-level buyers, but is well-equipped with standard body-color side mirrors and door handles, tilt steering, rear wiper and washer, rear spoiler and 15-inch steel wheels wrapped in 185/65R15 all-season rubber. Bumping up to the EX trim, as most will do, adds power door locks with keyless entry, Bluetooth phone connectivity, cruise control, center console armrest, telescoping steering wheel and a few cosmetic touches including synthetic leather door inserts. The range-topping SX builds on the EX with fog lamps, LED daytime running lamps, LED rear combination lamps (light-emitting diode and incandescent bulbs), dual chrome exhaust tips, leather-wrapped steering wheel, heated outside mirrors with integrated turn signals and a power folding feature, projector-beam halogen headlamps and more aggressive 17-inch alloy wheels wearing 205/45R17 tires. Option packages, which are trim level specific in most cases, include power windows and power door locks (LX models), 15-inch alloy wheels, UVO powered by Microsoft voice-activated infotainment, navigation with a seven-inch screen, leather upholstery, heated front seats and a power-operated moonroof. As of today, Kia has yet to announce pricing but it will likely run a bit more than Accent (which runs $14,500 - $16,800) as the Rio is slightly better equipped out of the box. The suspension is independent up front, with MacPherson struts and coil springs. In the rear there is a stabilizer bar and a torsion beam axle. All SX models are tuned for a sportier ride, befitting their larger wheel and tire package. Four-wheel disc brakes are standard (slightly larger on the SX models) and there is a new power steering pump engineered to reduce the load on the engine to increase efficiency. All identical to the Hyundai Accent. We had the pleasure of driving the front-wheel-drive Rio 5-Door EX on its home soil. Our route had us leave the hurried congestion of Seoul, then travel across the Korean peninsula eastward. While the route was visually spectacular, full of lush mountains and waterfalls, its direct approach to the sea was anything but exhilarating (or challenging). Nevertheless, we were given ample seat time for annoyances to surface. The cabin is very comfortable, even for those pushing six-foot three-inches tall. The standard driver's seat is six-way adjustable and can be raised and lowered in height if needed, just like on the Hyundai. There isn't much in the way of side bolster, and it lacks lumbar adjustment, but the seats were comfortable during our three-hour trek. All controls are logically placed, easy to reach, read and decipher. We also approve of the intuitive round knobs for audio volume, fan speed and cabin temperature. The steering wheel on the Rio is thicker than it is on the Accent, and we like it better as it also has nice raised areas for thumbs. The large toggle-type switches on the center console for the climate controls were also easy to use, and pretty cool in design. Nearly all surfaces are soft to the touch, lending an unusual high-quality feel to the low-cost five-passenger vehicle. The climate in August, following several days of very wet weather, was warm and humid with sporadic rain showers. Temperatures were in the high-80s and humidity levels about the same. With a press of the engine start/stop button (located where it is expected, to the right of the steering column) the engine kicked over immediately. The 1.6-liter settled to an eager idle and the air conditioning was blowing arctic-cold air out of the four vents within 30 seconds. The new six-speed slush box, the only gearbox offered on our EX model, is a cinch to operate. There are four primary positions (PRND) and a quick tap to the left from D will drop the gearbox into manual mode. Acceleration is peppy off the line, but the Rio loses steam the faster it goes. In fact, by 80 mph there isn't much left in the way of thrust, so do your lane jockeying early as we did. No worries, as the 5-door scooted around other traffic with the heart of a determined champion and delivered an average for the trip of just over 35 mpg according to the on-board trip computer. On the road, the Rio is not only quieter than last year's model but it seems quieter than many vehicles costing twice as much. 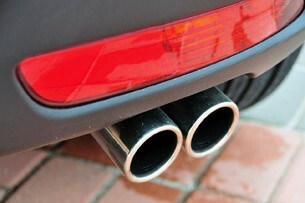 Credit an engineering team focused on reducing the noise, vibration and harshness (aka NVH) common among competitors. The new Rio features hood and dash insulators to help drown unnecessary commotion from the engine and expandable foam in the A- and C-pillars to reduce other resonations. Kia has also used Thinsulate (a synthetic fiber thermal insulation) in the A- and B-pillars to increase passenger tranquility. A slew of fresh tunnels bored into the mountains removed nearly all the curves on our route, sadly, so we never had a chance to even remotely explore the Rio's sporty side. Nevertheless, chassis dynamics seemed up to the task had we pushed our mid-grade EX a bit harder. Also keep in mind the range-topping SX is fitted with standard sports-tuned suspension, 17-inch alloys and the wider 205 mm rubber. Don't get the impression Kia has a Mini Cooper fighter on its hands, as 123 pound-feet of torque is strictly eco-box territory and heavy understeer is to be expected when pushed hard. Several hours later, with 125 fresh miles on the odometer, we had reached the Seorak Pine Resort where lunch awaited us. Time strolling around the quiet resort, snapping pictures to accompany the story, gave us plenty of time to mull over the new Kia Rio 5-Door. This class of so-called "economy cars" are traditionally noted for their compromise. The segment typically delivers a lightweight chassis, a gutless engine and a cabin stripped bare of amenities. Styling is often bland, driving dynamics dull and time spent behind the wheel is anything but enjoyable. They are what we call "basic transportation." The new Hyundai Accent and new Kio Rio are notable for being no-compromise entrants in this segment. They are both uniquely upscale, offering comfortable and accommodating passenger cabins with high grade materials and standard features that are unexpected at this price level. Their identical powerplants deliver direct-injected innovation and incredible fuel efficiency - 40 mpg from a non-hybrid gasoline powerplant is outstanding. 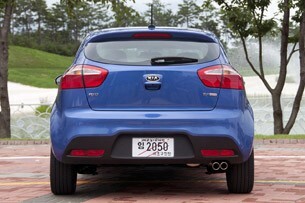 While neither Korean has glaring faults, we like the Kia ever so slightly more. 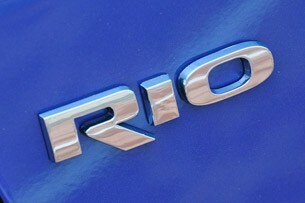 The 2012 Rio 5-Door is the sport model the Accent lacked. Its styling is Euro-cool, both inside and out, giving it an edge that allows it to come off looking, feeling and driving like a true champ. 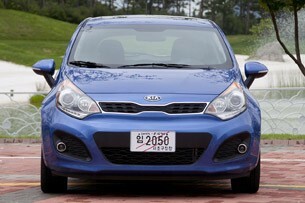 Tags : 2012 Kia Rio 5-Door Photo, Pricing, 2012 Kia Rio 5-Door Review, 2012 Kia Rio 5-Door Classified, 2012 Kia Rio 5-Door Rebate, 2012 Kia Rio 5-Door Spec, 2012 Kia Rio 5-Door Comparison, 2012 Kia Rio 5-Door Warranty, 2012 Kia Rio 5-Door Crash Test Video, 2012 Kia Rio 5-Door Paint Color, 2012 Kia Rio 5-Door Standard Equipment, 2012 Kia Rio 5-Door Recall, 2012 Kia Rio 5-Door Safety Feature, 2012 Kia Rio 5-Door Package/Option, 2012 Kia Rio 5-Door Ownership Cost, 2012 Kia Rio 5-Door Lease Calculator Loan, Alphard Calculator Resale Value, 2012 Kia Rio 5-Door Trade-In Value, 2012 Kia Rio 5-Door Future & Concept, 2012 Kia Rio 5-Door Factory Pics, 2012 Kia Rio 5-Door Factory Videos, 2012 Kia Rio 5-Door Owner, 2012 Kia Rio 5-Door in America, Alphard in USA, 2012 Kia Rio 5-Door is Pakistan, 2012 Kia Rio 5-Door in Italy, Alphard countach, 2012 Kia Rio 5-Door kit cars for sale, 2012 Kia Rio 5-Door kit cars, Alphard carolinas, Alphard wallpapers, 2010 2012 Kia Rio 5-Door , 2012 Kia Rio 5-Door watches, 2012 Kia Rio 5-Door limo, transporter 2 Alphard , 2012 Kia Rio 5-Door logo, 2012 Kia Rio 5-Door watches, 2012 Kia Rio 5-Door wallpaper, 2012 Kia Rio 5-Door racers, 2012 Kia Rio 5-Door black, 2012 Kia Rio 5-Door watch, 2012 Kia Rio 5-Door or sale, 2012 Kia Rio 5-Door for sale, 2012 Kia Rio 5-Door wallpaper.